The fourth-generation Toyota Prius enters its third year in 2018. Meanwhile, the Prius liftback is one of eight Toyota hybrid models offered and Toyota also offers the world’s first production hydrogen fuel-cell car for public sale, the Mirai. The Prius still sets the bar for hybrid fuel economy, and it’s a high bar, indeed. The Prius Eco model is anticipated to receive MPG estimates of 58 city / 53 highway / 56 combined MPG EPA-estimated fuel economy ratings. That would be better than any mass-produced passenger vehicle without a plug. The Prius helps fulfill that commitment by making Toyota Safety Sense P (TSS-P) driver assist technology standard on all model grades. (It had been an option on select grades for 2016.) Using millimeter-wave radar and a monocular camera sensor to help detect pedestrians, vehicles, and lane markers in the surrounding area, TSS-P is designed to identify obstacles and automatically apply braking if necessary to help avoid collisions. TSS-P includes the Pre-Collision System with Pedestrian Detection; Lane Departure Alert with Steering Assist; Full-Speed Dynamic Radar Cruise Control and Automatic High Beams. The Prius driver can choose between selectable Normal and Power driving modes. Normal balances both fuel economy and acceleration feel; Power prioritizes acceleration feel. Most Prius models are expected to receive estimated economy ratings of 54 MPG city / 50 MPG highway / 52 MPG combined – on regular-grade gasoline. The Prius Eco grade anticipates higher ratings thanks to lighter weight and further optimized aerodynamics. Parking doesn’t get much easier than with available Intelligent Parking Assist (IPA). 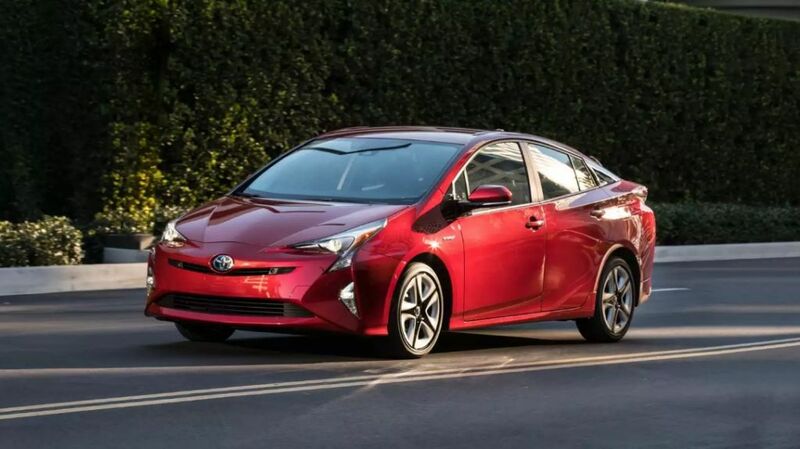 When activated, the system is designed to use ultrasonic wave sensors to automatically steer the Prius into – or out from — parallel parking spaces, or reverse it into perpendicular space. The Toyota-first Intelligent Clearance Sonar provides visible and audible warnings if the driver gets too close to detected obstacles on the vehicle’s sides – an excellent tool for navigating tight parking garages, for example.